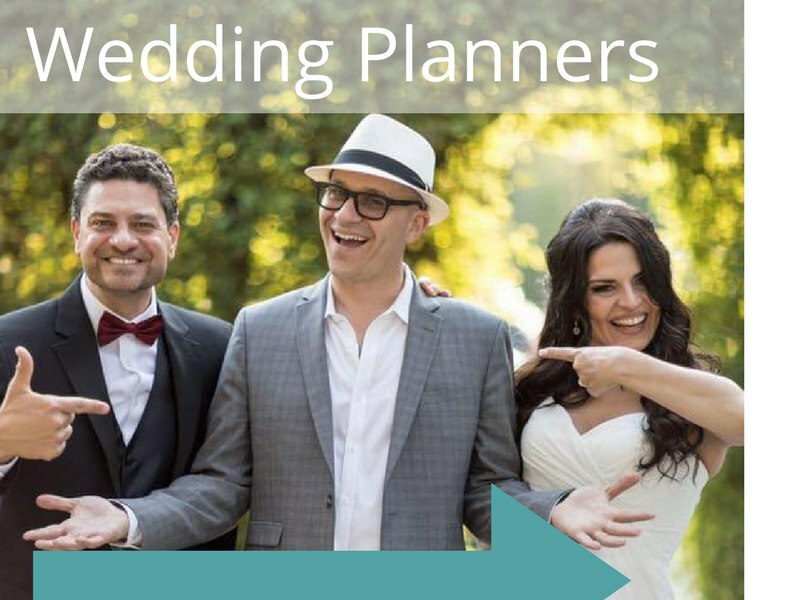 You may already know this (or perhaps you are in the process of learning this), but planning a successful, memorable wedding doesn’t happen by chance! 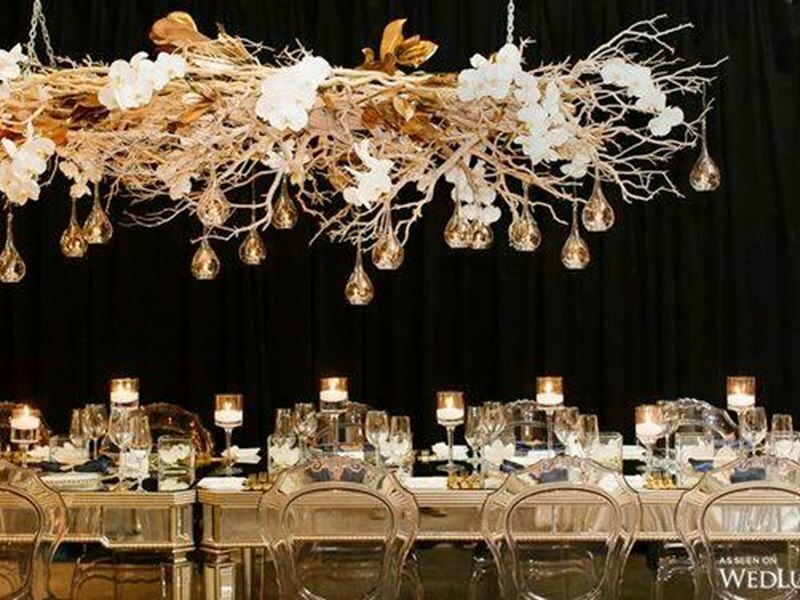 It’s no secret that hiring an experienced and reputable wedding planner can make all the difference. They have the knowledge, the connections, the talent, and the leadership qualities required to pull together one of the most important days of your life. 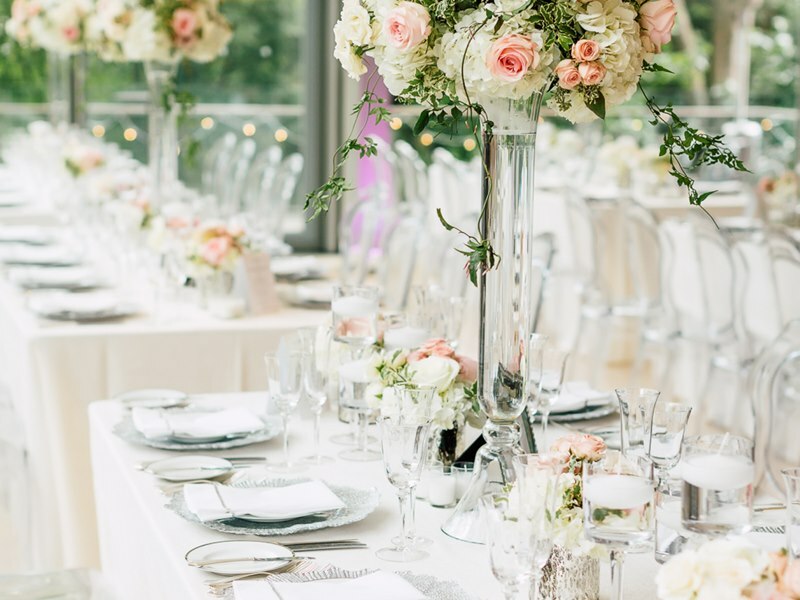 Luckily for us Toronto-folk, there are so many awesome wedding planners in the GTA that are ready, willing, and able to help you plan the wedding of your dreams – whether it be a laid back, low key affair or a luxe wedding filled to the brim with lavish florals and extravagant decor! 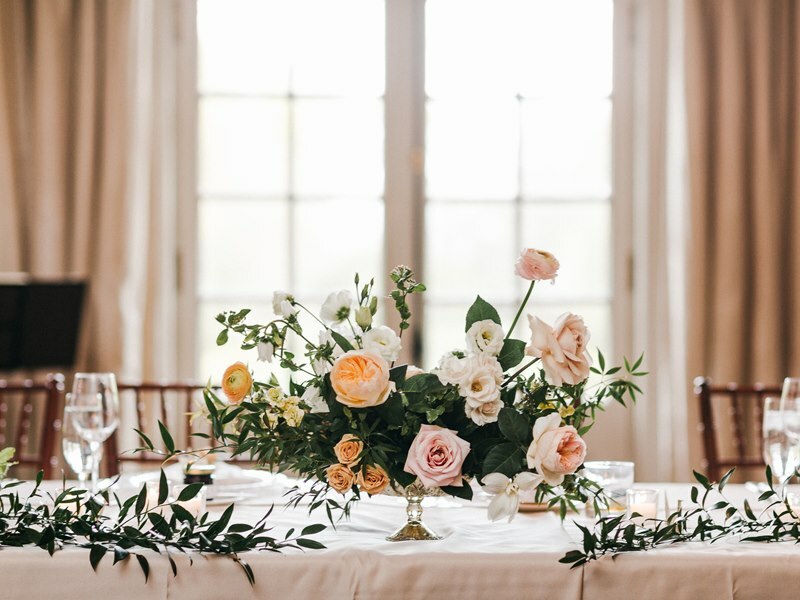 To help get you inspired, we reached out to said local talent and asked them to share their favourite weddings from last season. Let’s start pinning! 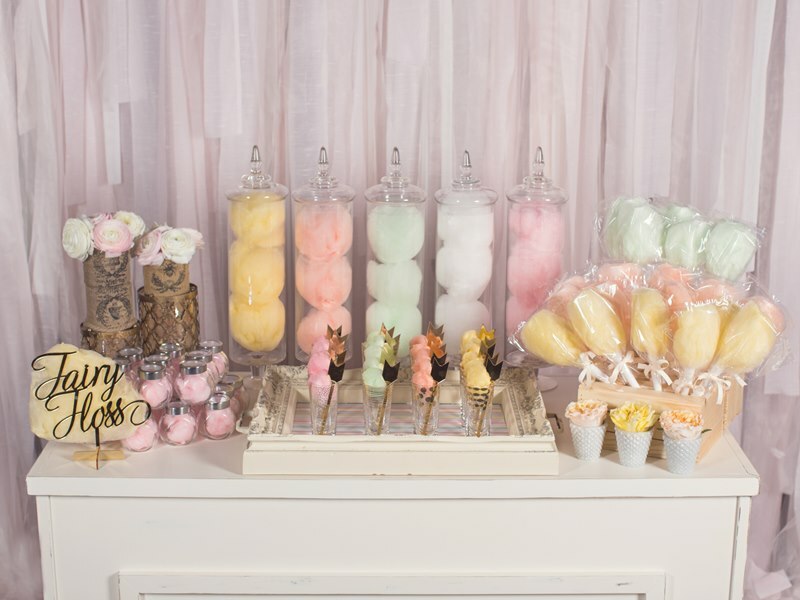 – Krista Jane, KJ & Co.
“Adriana and Mike’s wedding day was full of whimsical and romantic details and was one of my favourite weddings of the past summer to help plan, design, and execute. From the berry and dusty purple flowers by Bloom & Co. the incredible semi-naked berry cake by Cake Luxe, the iron chandeliers with hanging foliage, the custom stationery by Paper & Poste, and the string light backdrop by Simply Beautiful Decor, and live edge tables, this wedding was the perfect expression of the couple’s fun loving nature and impeccable taste. 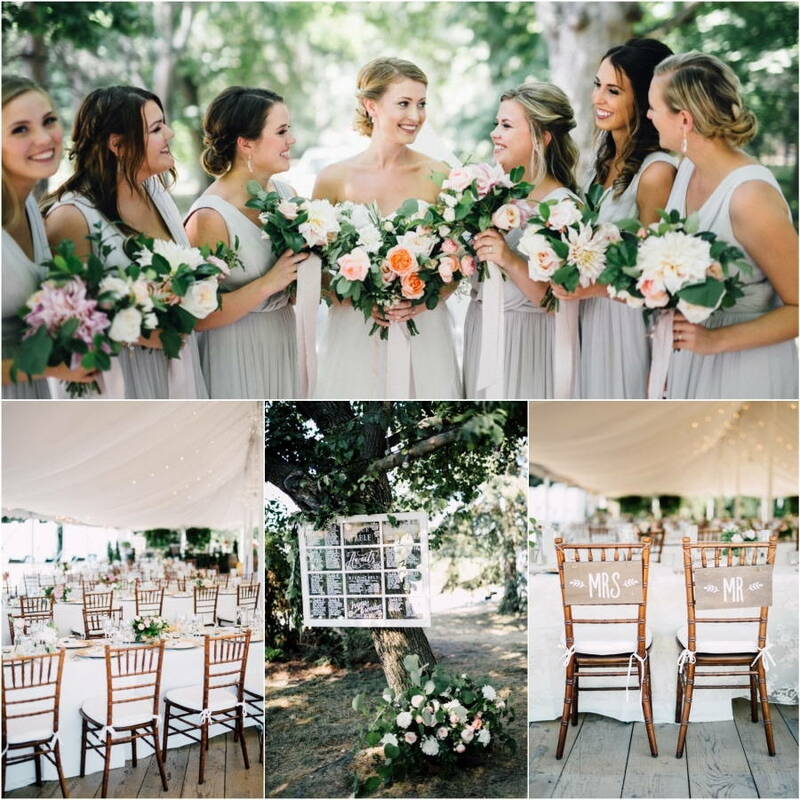 “It’s safe to say that Erin and Chris’ wedding was not only our favourite of last season but of all time. 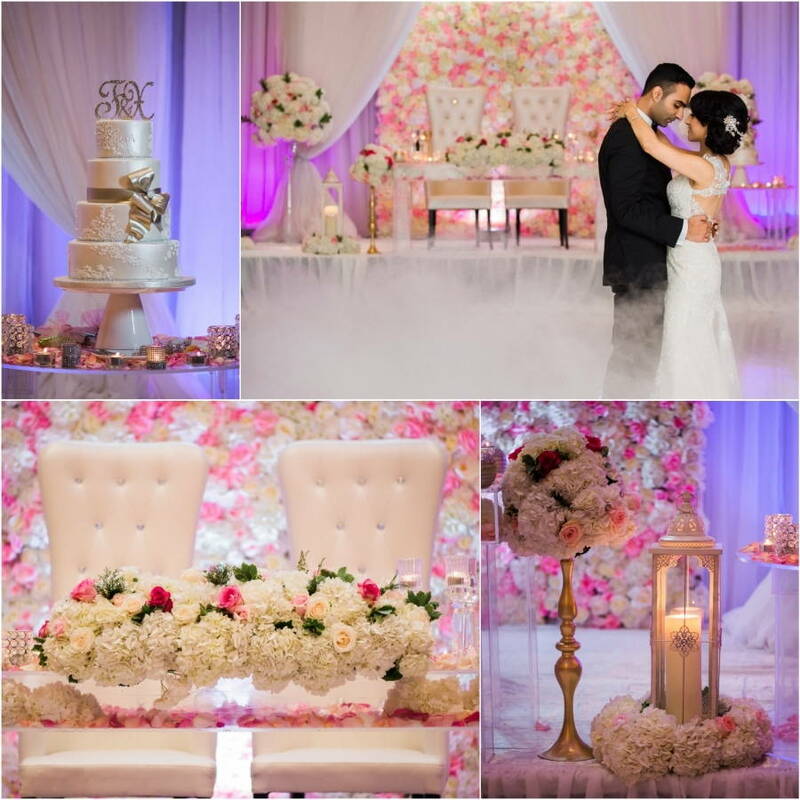 There was so much insane detail put into every aspect of this wedding. 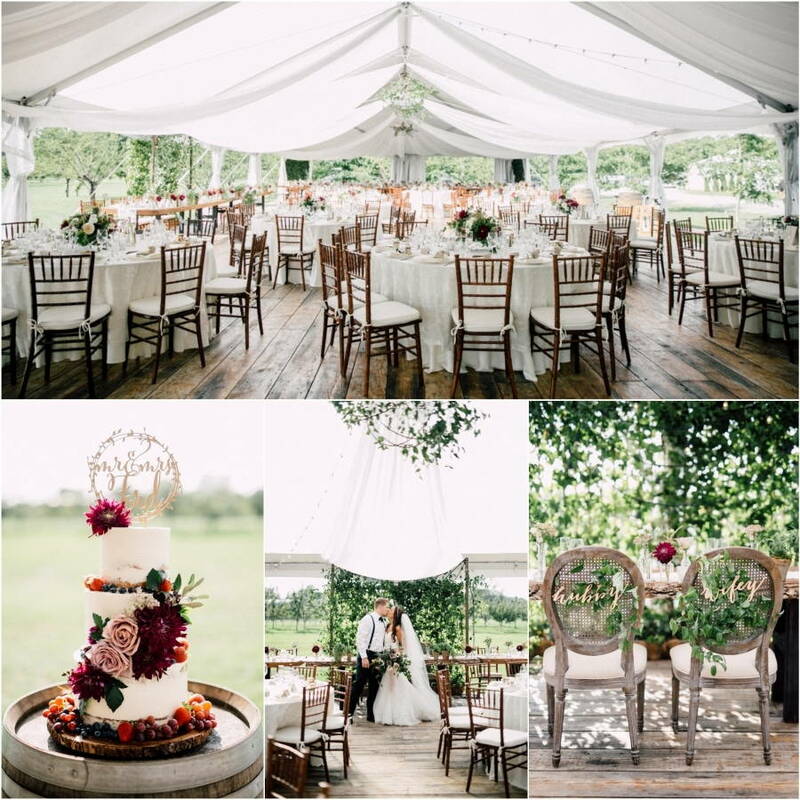 It helped a lot that the couple had been together since high school and had a lot of history that added personal touches everywhere! Erin and Chris came to us with a completely open mind and wanting to do something totally unique. 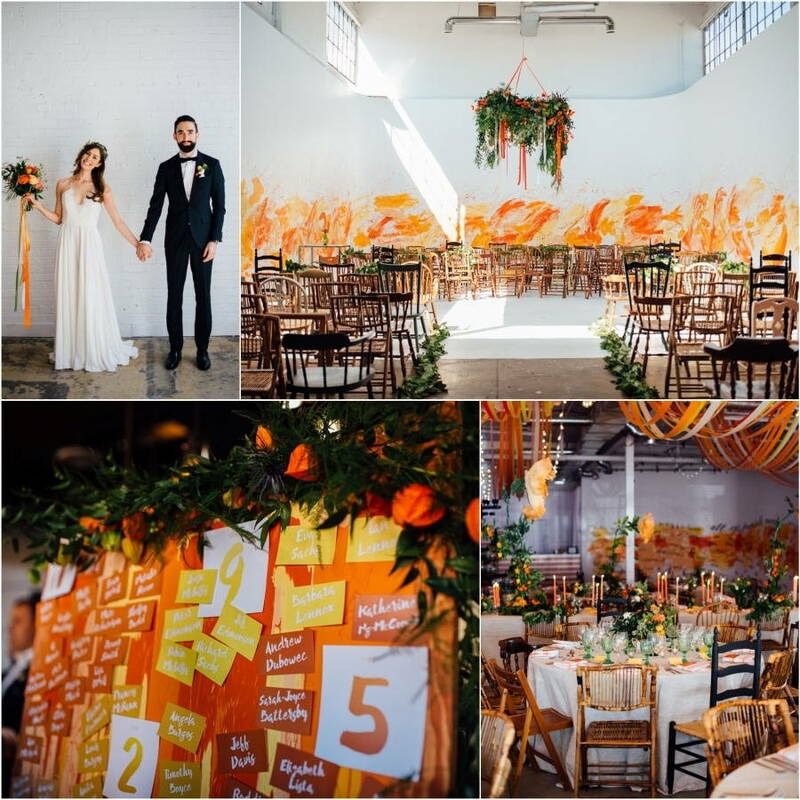 They absolutely knew they wanted their wedding’s colour scheme to be orange and green, and that’s when we knew it was kismet… I mean orange?! Come on! 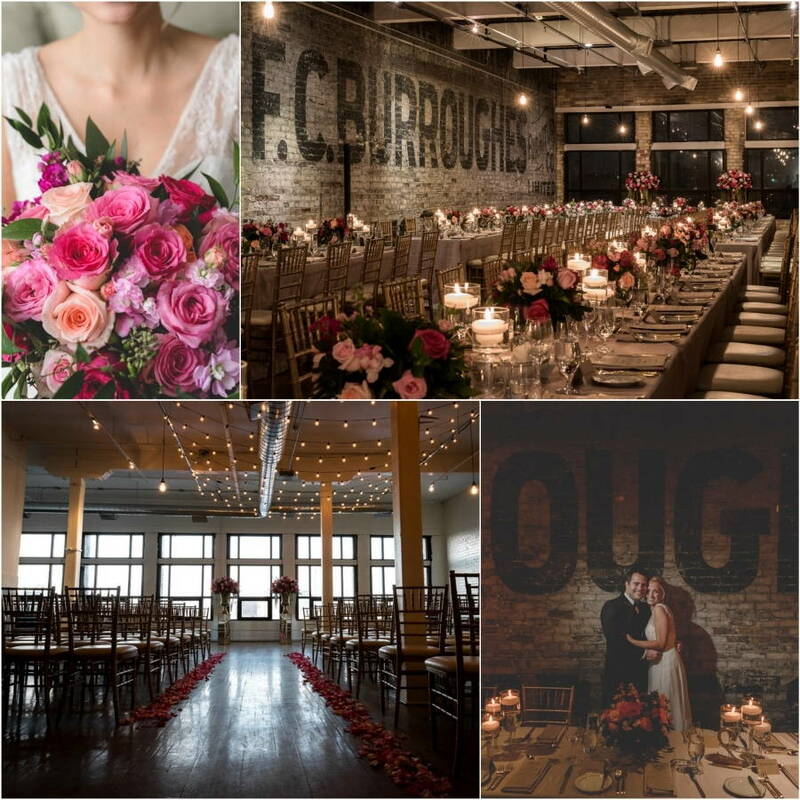 Erin and Chris got married at District 28 in early September. Being a film studio, District 28 is literally a blank white space, so you have to be as creative as you can be! We were allowed to paint all over the walls and create murals for both the ceremony and reception space which was an absolute blast! The paint splatter meets enchanted forest theme carried on throughout every room of the venue including the paint splatter guest book and seating chart in the cocktail space. 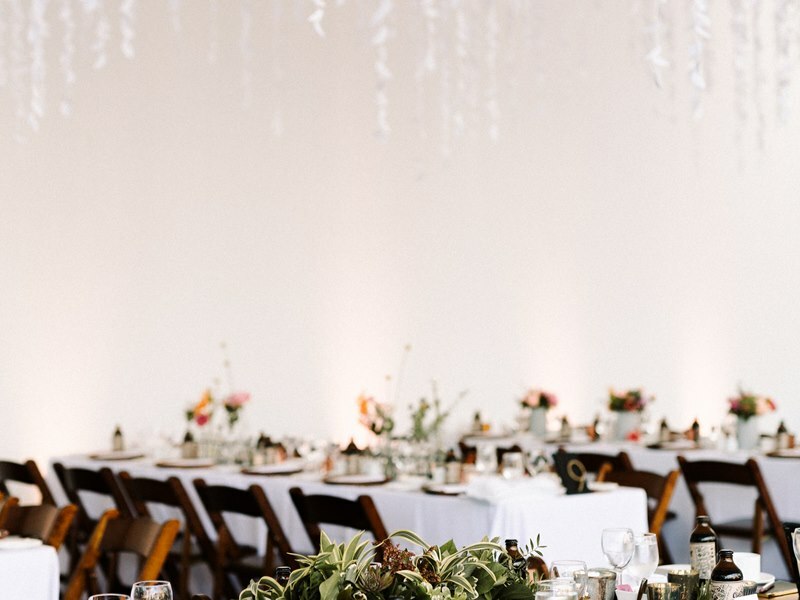 The ribbon installation and hand made paper flower centrepieces were hands down the coolest things we’ve ever seen done at a wedding and really brought a feeling of whimsy to the space. 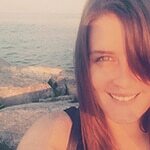 “What makes a “favourite” wedding for me isn’t necessarily details or budget. While those things are great, as a planner, I most enjoy the people. Every couple is different; therefore, the process is always changing and I deeply enjoy the discovery process. Crystal and JD were just lovely people to work with and that’s what made it one of my favourite weddings of the year (the fact that it was a veritable dream team of vendors was also nice). They met in law school in Michigan and have been inseparable since. 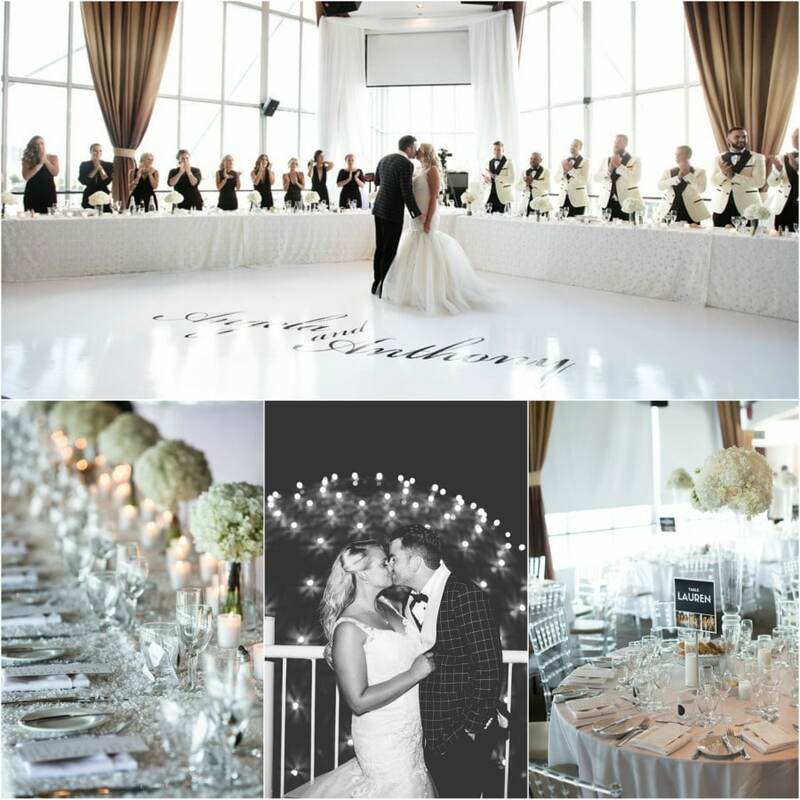 “Maria and Ryan were one of our all time favourite couples! We knew when they entrusted us to plan and design their day that these two were special. 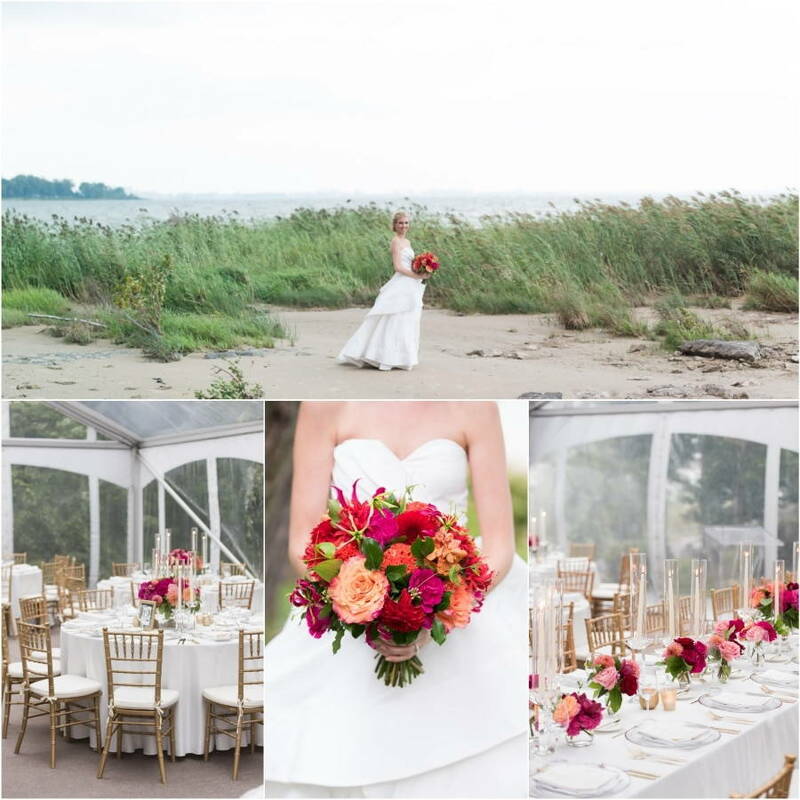 Planning from afar, Maria is in New York City and Ryan in Philadelphia, they were set to be married at Maria’s family beach house in Niagara. 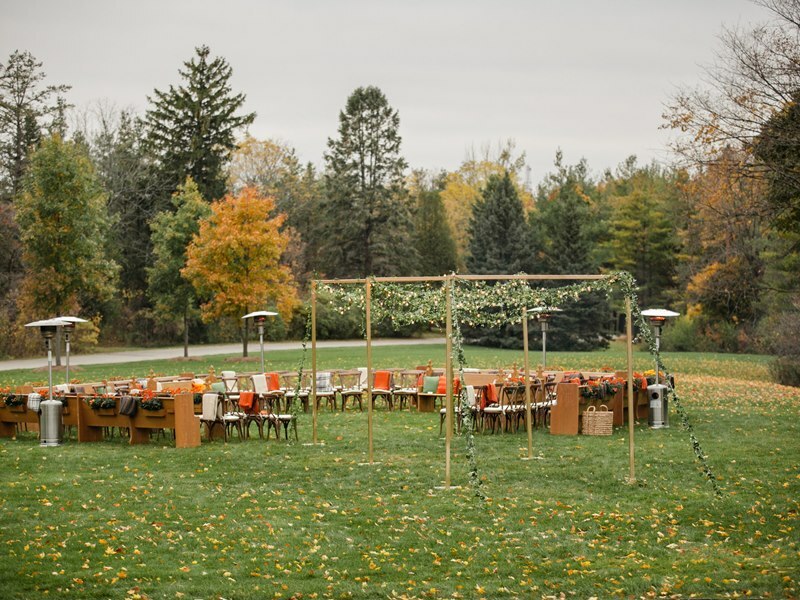 Working together, we meticulously planned every detail of the day – from florals and decor, band and entertainment, and Ryan’s request of strings lights everywhere! 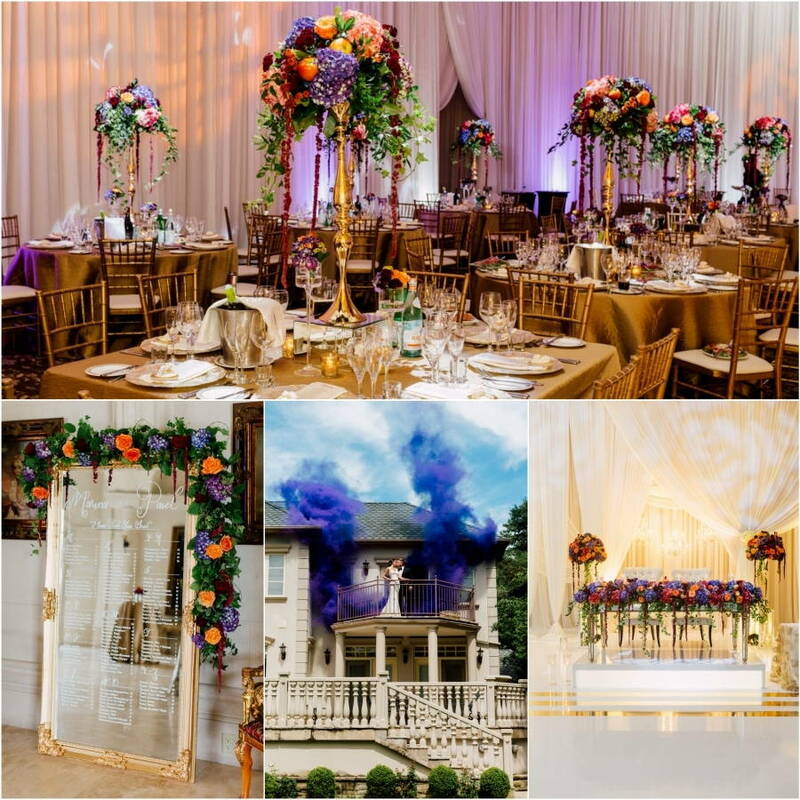 Inspired by our bride’s grandmothers garden, we used bright corals and vibrant oranges with accents of gold throughout. Each and every moment of the day was set and ready for execution. 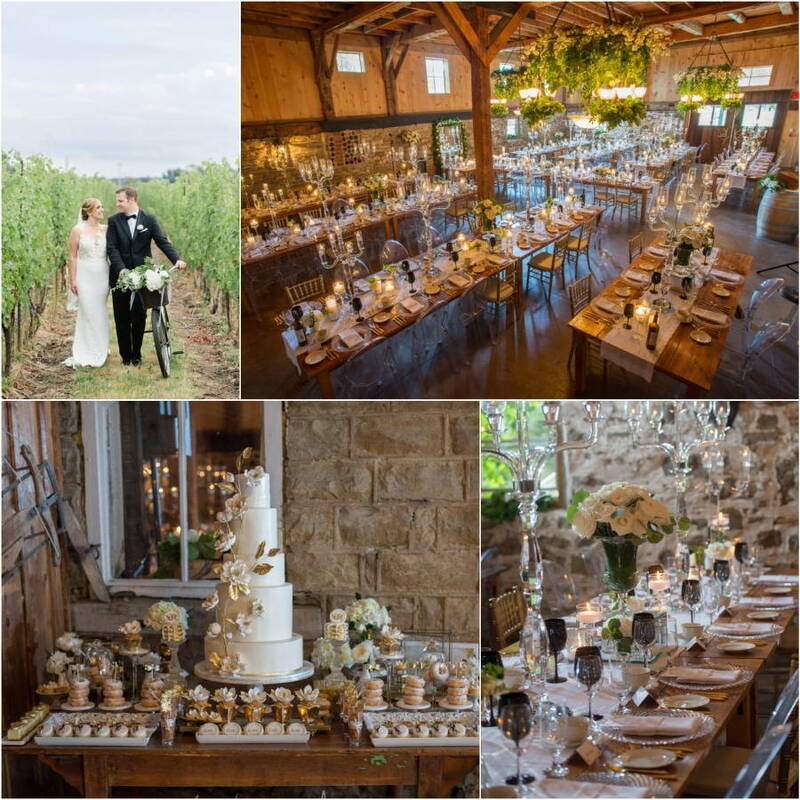 “Stefani and Rick’s wedding at Honsberger Estate was definitely one of my favourites from last wedding season! The bride was an absolute sweetheart and very open to all of my ideas and suggestions! 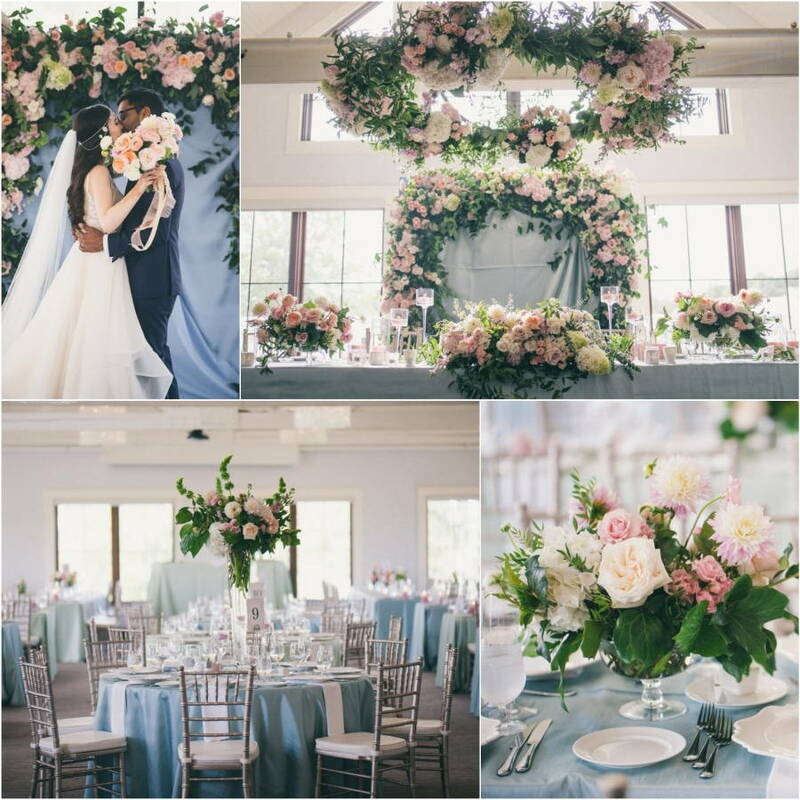 Stefani & I decided early on in the planning process that we wanted to do something a little bit different with the styling of the wedding. 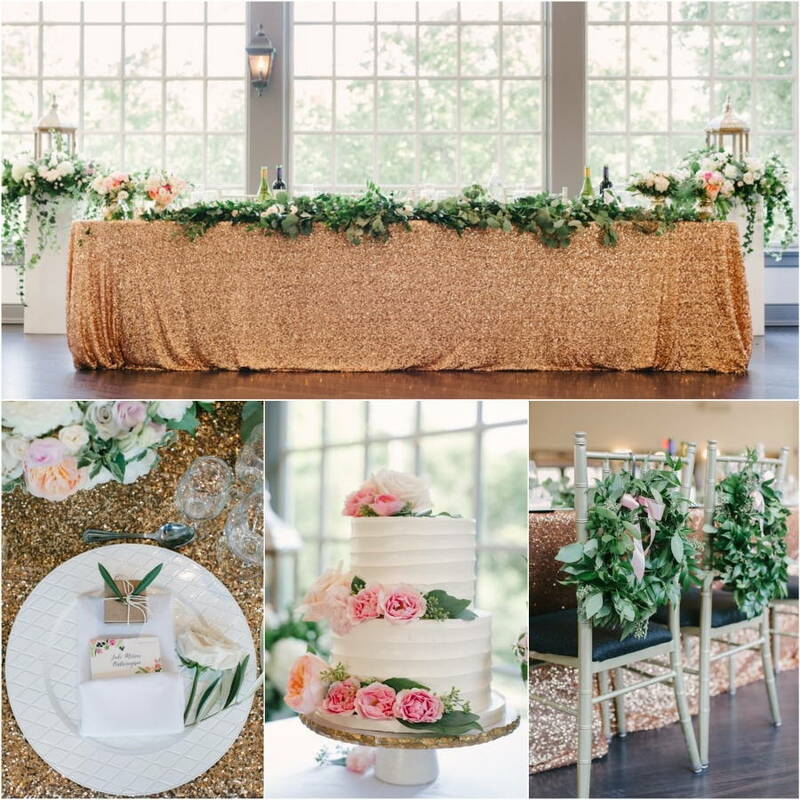 The reception space at Honsberger Estate is a circa 1800’s barn so most couple getting married there tend to stick to a rustic chic décor theme, but we decided to bring some glam into the space! 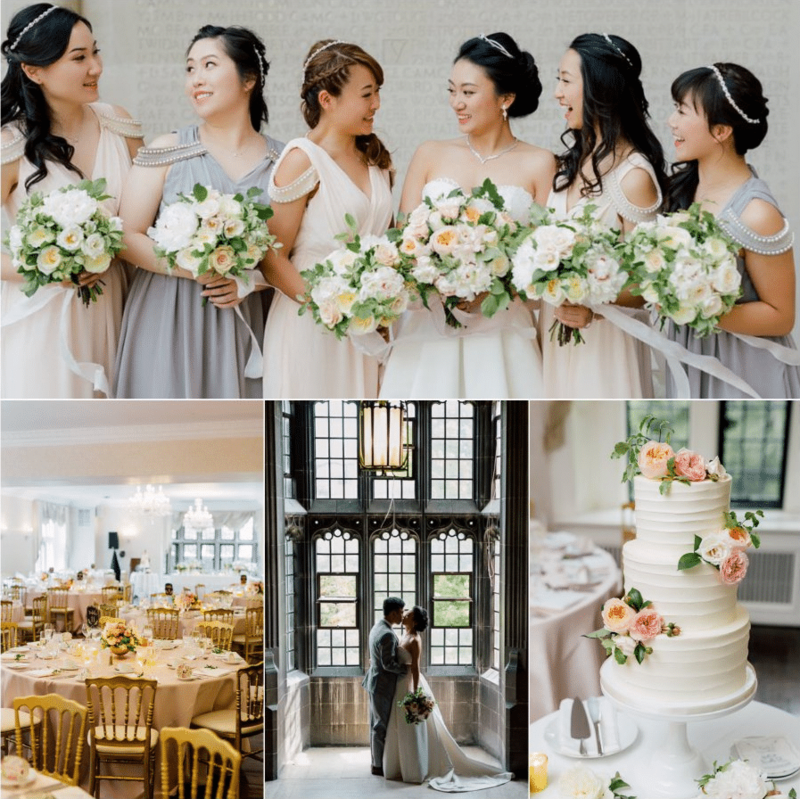 “Living in Toronto, we are so lucky to work with a plethora of multicultural couples which is why Farah & Xeryus’ wedding is one of our favourites from 2016! 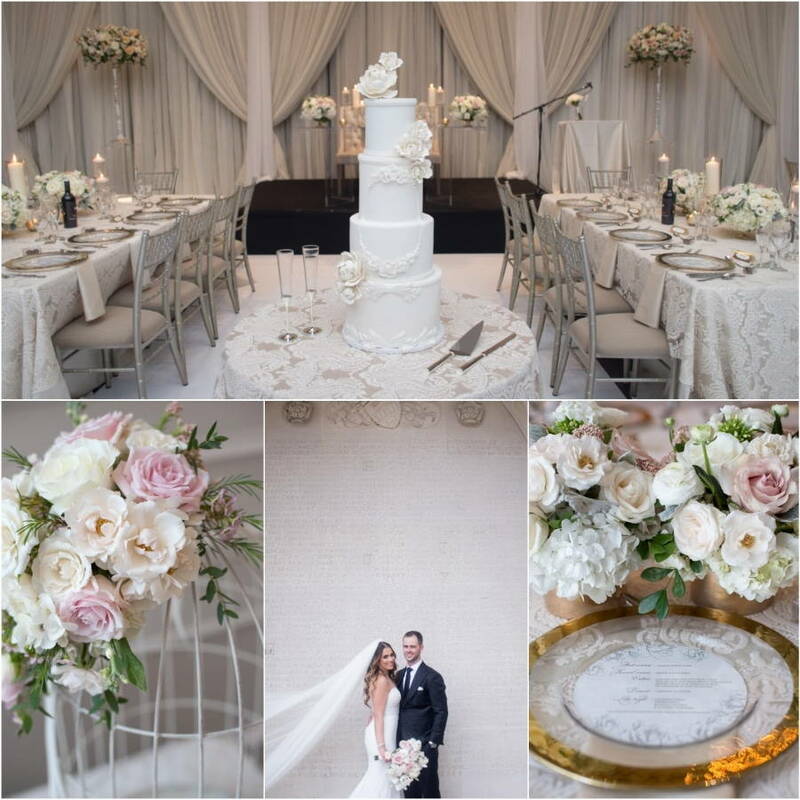 The couple grew up in Toronto so they wanted a modern wedding but it was still extremely important for them to incorporate some of their Zoroastrian wedding customs. We accomplished this by bringing in two priests to perform a traditional Zoroastrian ceremony in the venue, while a harpist played classical music for the processional and recessional. Farah wore a stunning white beaded Sari and Xeryus adorned a white tunic, as per the traditional custom. “To us, favourite doesn’t always have to equate to lavish. For us, this wedding was one of the most memorable and entertaining of the year. From challenging door games for the groom and his entourage, to romantic vows and an evening filled with loads of entertainment, there was never a dull moment throughout the day of the wedding. Not to mention, the couple was extremely fun to work with. In our opinion, it makes a huge difference when the couple you work with loves to party and knows how to party. 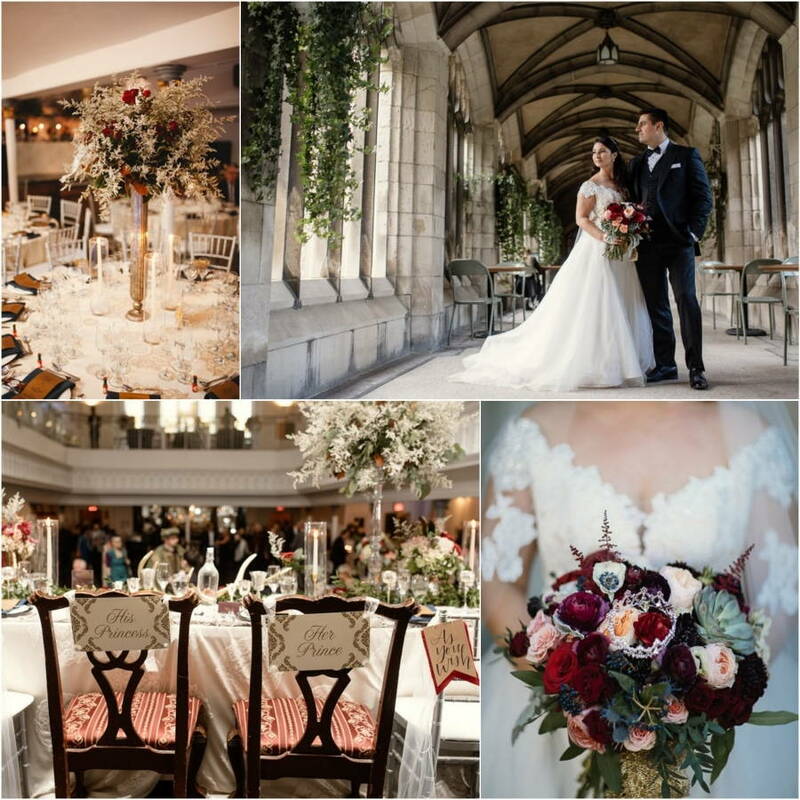 “Looking back on 2016, we can say that we had the pleasure of working with many wonderful couples. 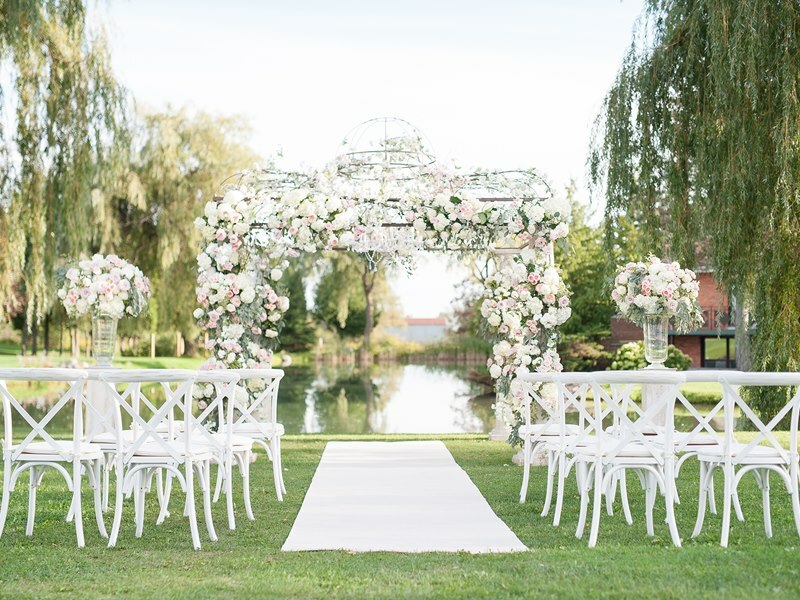 One of those couples was Ashley and Christopher – high school sweethearts who were super excited to finally share in this special occasion with all their family and friends. The bride looked absolutely radiant in her Berta dress accessorized with a beautiful cathedral veil. 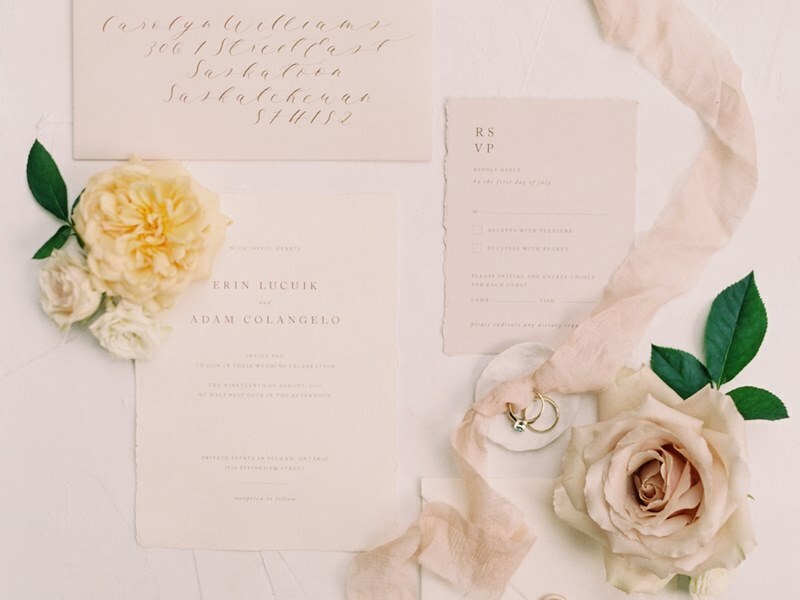 Wedding details were all in ivory and blush tones. 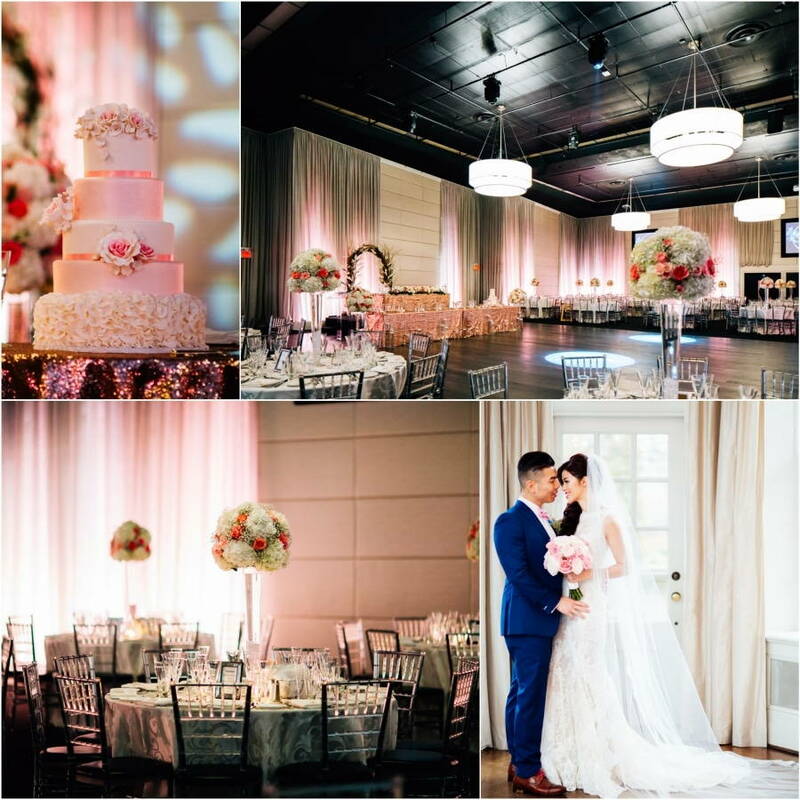 Lavish florals and draping by Covers Couture, romantic candlelight, an ornate cake design from Sweet Regards, and a personalized dance floor made for an elegant and classic wedding reception. 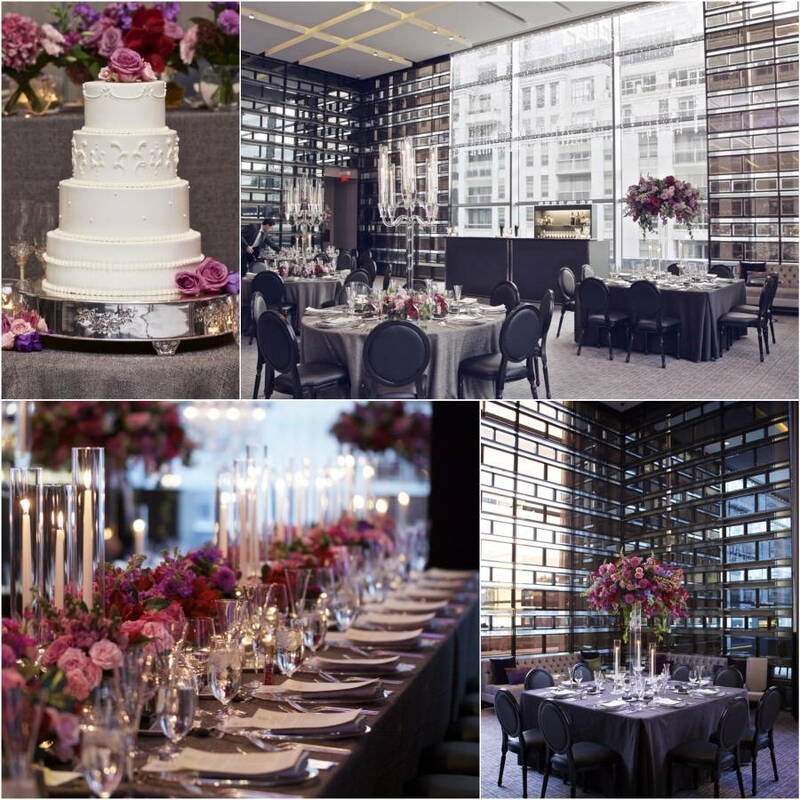 “Last wedding season was one to remember for the Art of Celebrations team, but one above all stole our hearts and made a lasting impression on all of us. 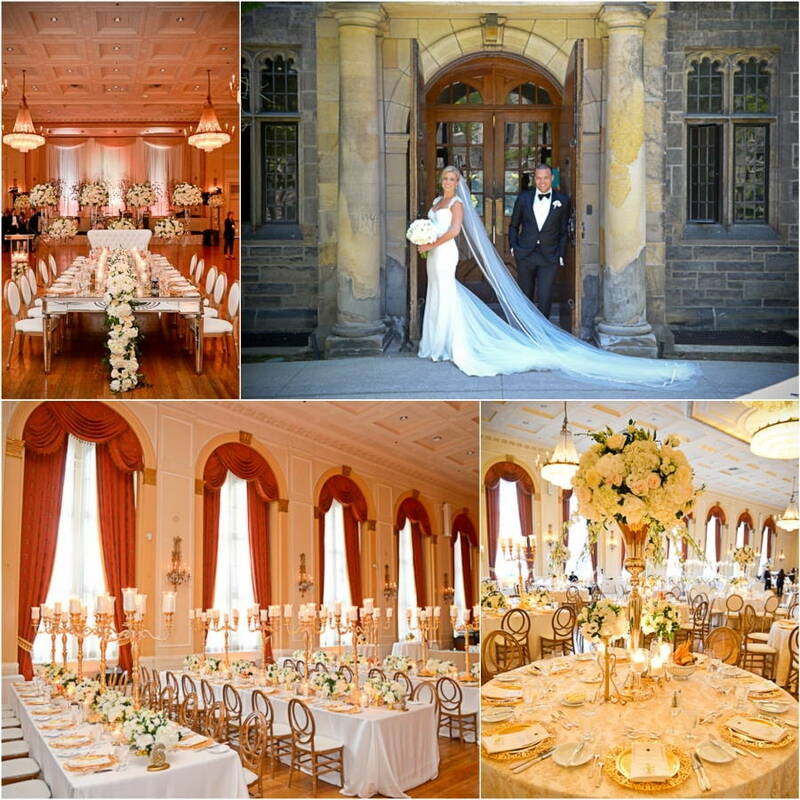 It was a timeless classic and a true fairytale which took place at two of Toronto’s oldest and most beloved venues – The Trinity College and The Fairmont Royal York. Katie and Derek married on a picture-perfect June day. After the ceremony, guests were led to a stunningly manicured outdoor courtyard (where they enjoyed live music along with cocktails and perfectly paired hors d’oeuvres) and then shuttled on TTC buses (a fun, Toronto staple as most guests were from out of town) to the Fairmont Royal York Hotel for dinner and dancing. 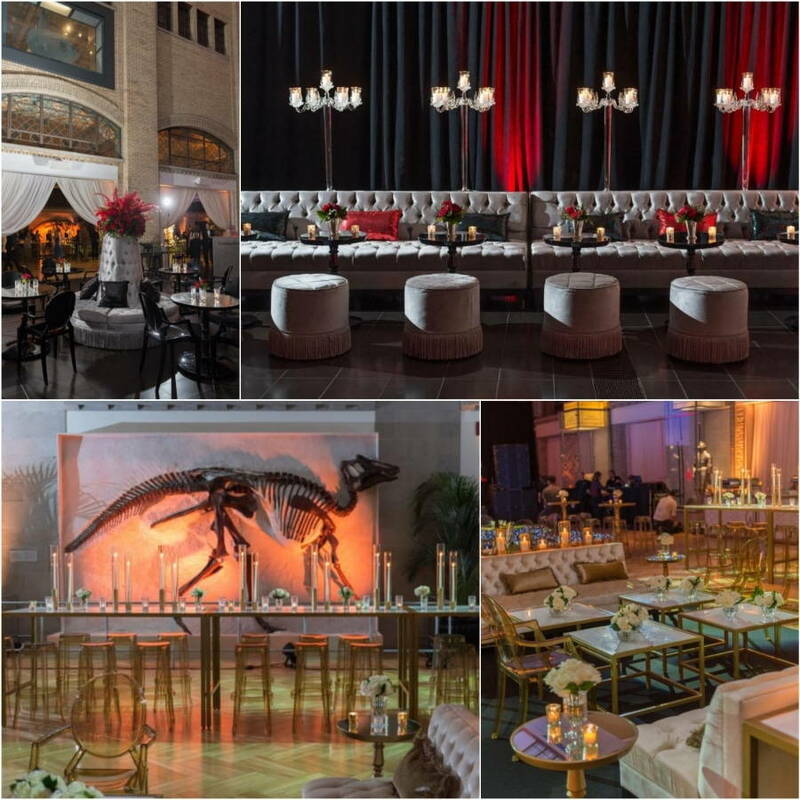 Beautiful floral and candle displays warmed up the space, a custom Step and Repeat was set up for guests to take their glam photos, and a red carpet was rolled out leading guests into the stunning ballroom. 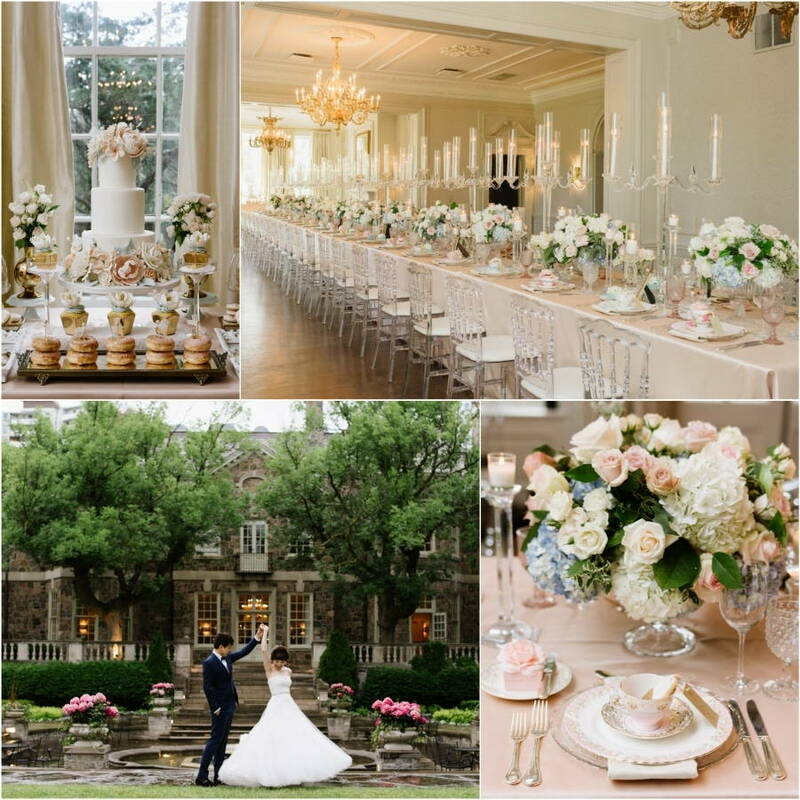 Inside the Concert Hall, we set up round and long tables, filled with hundreds of gold candelabras, beautiful classic white and green floral arrangements, gold charger plates, and orchid heads on each place setting.